Today is a very special day for NoMinusplus. 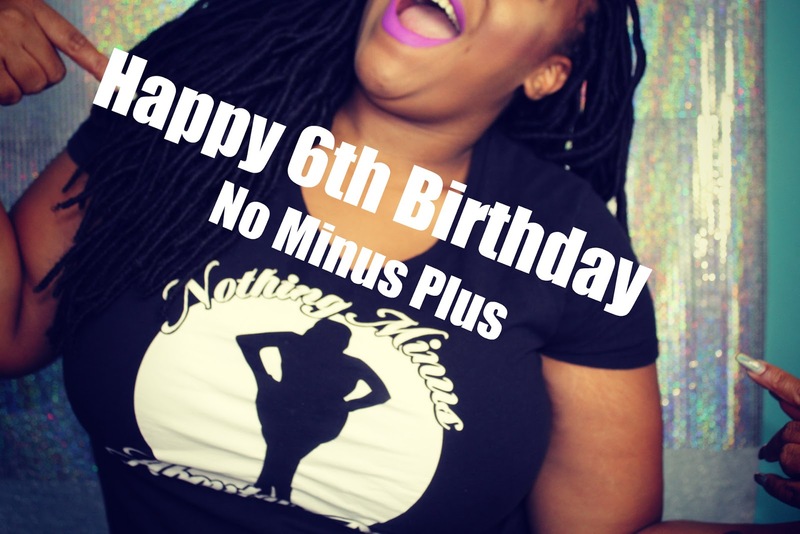 6 years ago today I started this blog, and I am so proud of everything it has become, and everything it’s becoming! Never in a million years did I think I would be a blogger. I kinda just started it and went with it. That just proves to you that you can do anything!!! If you want a little bit of the background of how NoMinusPlus got started, click here to check out the playlist of videos from last years NoMinusPlus week. There you will find 5 videos all bout my beloved blog, and I hope you will enjoy! So let’s get into this super short and sweet video! Did you enjoy? I hope so! From the bottom of my heart THANK YOU!! I really appreciate each and every one of you! I am on a mission to get to 500 subscribers on Youtube by Dec 31st. Can you help me reach that goal! Tell a friend and spread the word about NoMinusPlus! I know we can make our goal!!! I’m going to end this Birthday video here. Feel free to follow me on social media by clicking the links above. I love you lots like tater tots, THANK YOU FOR EVERYTHING, and I will see you all tomorrow!